Home >> SOFTWARE >> Building Data Acquisition >> HottCAD GO! HottCAD GO! Is an affordable yet fully loaded drawing tool to quickly create a virtual 3D building model. It’s an ideal visualisation tool for calculators / planners, building surveyors, assessors, real estate agents and asset / facility managers. HottCAD GO! is an independent, stand-alone solution inspired on the often praised HottCAD drawing solution (which is an integral part of many ETU / Hottgenroth Software products). HottCAD GO! does not exchange data with other HS / ETU Software products but is being used to generate 3D / 2D documentation like floor-plans, elevations and section views complete with dimension lines. It can be used to calculated areas, volumes and sizes and it generates overviews of building parts, rooms and zones. Like the full featured HottCAD tool, HottCAD GO! can read in DWG and DXF drawings or digitalised images of paper floorplans (PDF, JPEG). It provides wizards for the definition of walls, floors, roofs, windows and doors. 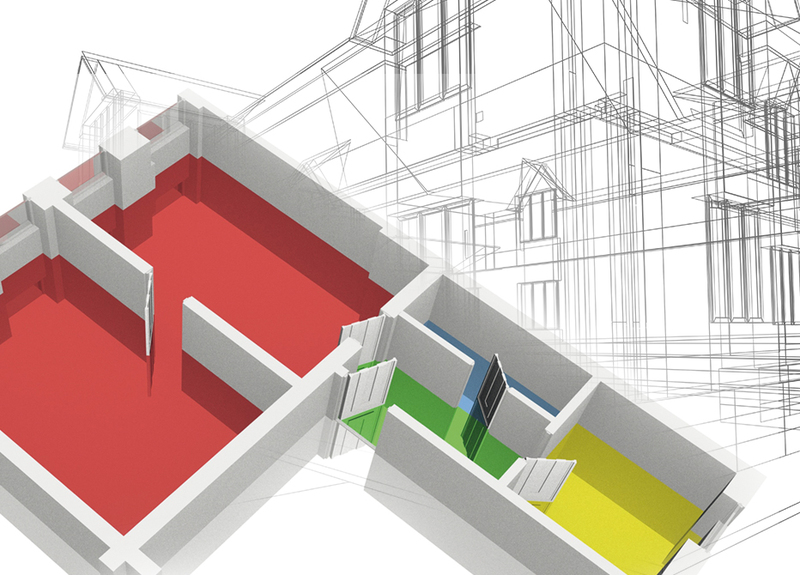 The user can pan / zoom and rotate the virtual 3D model and present different usage zones of the building with colours.